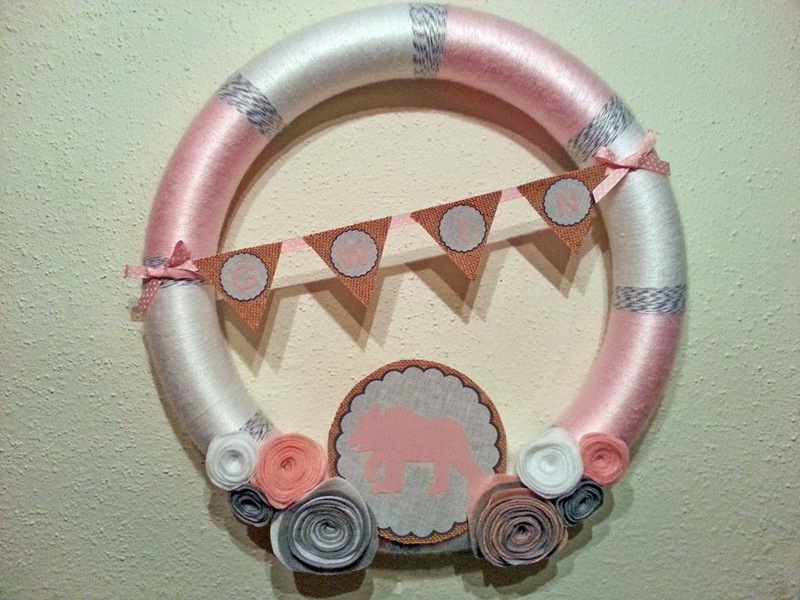 I received a request via Etsy for a Eric Carle Brown Bear Themed Wreath for a young girl's birthday party. I was advised the other party decorations were in pale pink, white and gray. I used an 18" styrofoam wreath form that I wrapped with yarn. I made the small pennants out of a light tan burlap and attached to a stiff felt to give it more stability. 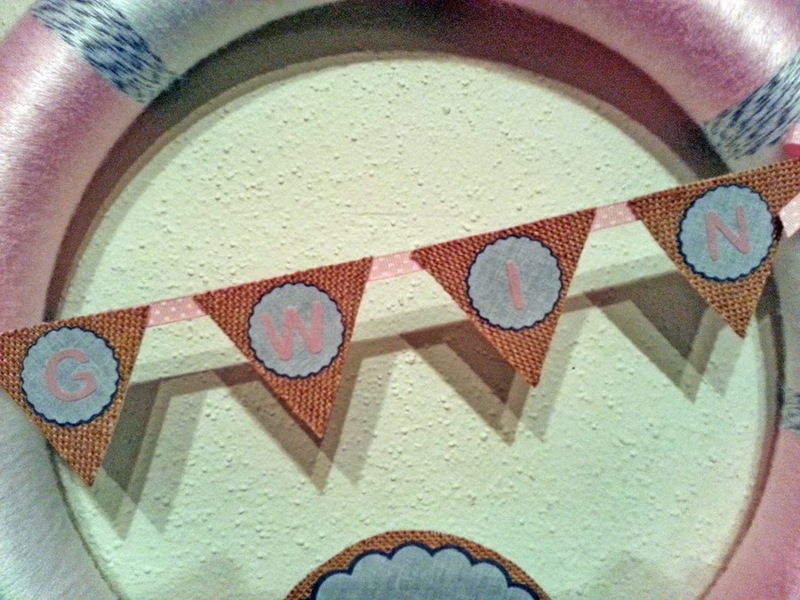 The pennants are attached to a pink with white polka dot ribbon. The scalloped circles, letters and bear were all cut out of fabric using my awesome Silhouette! Love that machine! I also made a few felt flowers to enhance the overall look of the wreath. 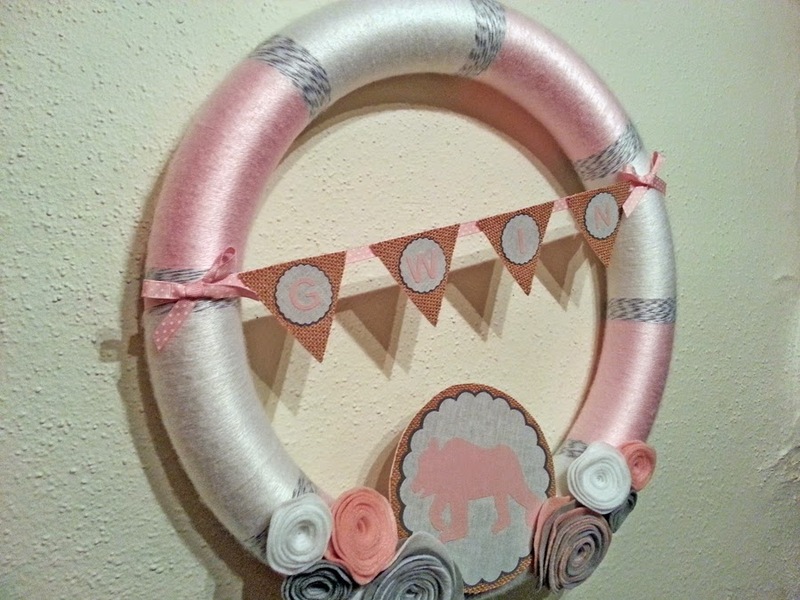 I love the overall look of this wreath. Sorry that the pics aren't the best. I didn't finish this one until later in the evening and had to pack it up for shipment for the following day. I didn't get to get natural lighting photos like I normally like to do. I am always happy to accept custom order requests either here or through my Etsy Shop.